Spike, in my novel, Cedar, Salmon and Weed, was based on Spino: “He was a good worker—summer resident widows, their husbands busy making money in the big city, frequently singled him out for odd jobs. Of course, they were influenced by his swimmer’s physique, bleached curly hair, and pale blue eyes.” (p. 9) The fictional Spike resisted the call of alcohol, but just barely; Spino, not. CBC TV’s new series, Still Standing, premiered last night. It’s first episode featured Bamfield! The show is hosted by stand-up comic Jonny Harris (better known to the mystery fans among us as Crabtree on Murdoch Mysteries). The program is wonderful fun an can be viewed online at http://www.cbc.ca/player/Shows/ID/2670206275/ The photo below is from Louis’ appearance on the show, which starts at the 5:30 mark. Enjoy!! Ann Rose is a Professor of Medical Genetics at the University of British Columbia and a recipient of the Outstanding Alumni Award from Simon Fraser University. She has generously agreed to allow us to share her lovely review of Cedar, Salmon and Weed here. The review was originally published in the SFURA Newsletter, Vol XIII, Number 1, Spring, 2015. If you’d like to buy a copy of the book for yourself to read, click on “Buy the Book!” at the left of the top menu bar! I had been looking forward to reading Cedar, Salmon and Weed by Louis Druehl, and I wasn’t disappointed. I know the author. I knew the person whom the protagonist was based upon, and I know he died. When I set out to read this book, I thought it would be a mystery story in which the villain was the wild nature of the West Coast of British Columbia. But it wasn’t. What the book is is a love story of a very unconventional kind and like marine life itself, which is hidden beneath the surface of the ocean, the deeper themes of this book lie below the surface. In order to understand this, we need to know something about the place where the novel is set. The small fishing village of Bamfield has a unique and proud history. 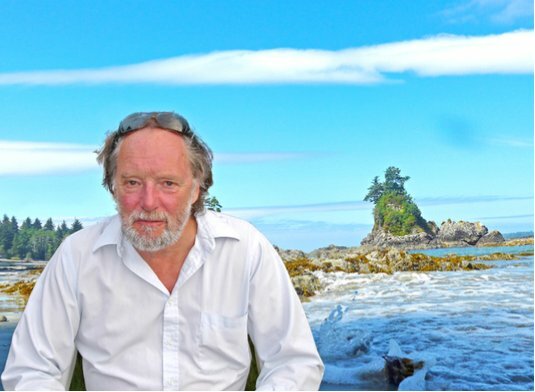 Druehl begins his story by introducing us to Bamfield and the Bamfield Marine Station, which in the early 1900s was the Eastern end of the trans-Pacific telegraph line that circled the globe and provided a communications link to countries around the world. The author’s love of this place plays a central role. Across the Pacific, this cable line lay under the ocean and like the deeper connections between the characters of Druehl’s book, was hidden from sight. Bamfield is made up of diverse communities that live in and pass through it. The members of these groups come together to form a single image, like a flock of birds, and then come apart, fraying at the edges as they separate into their individual beings. Druehl captures in his novel the irony of community, our need to be a part of a social network versus our desire to be unfettered by social norms. He treats both the community and the individuals that form it with humour and affection. However, at the heart of the book is the author’s love for his friend who was tragically lost. To understand Gaz, the central character, one needs to know that his creation was inspired by Louis Druehl’s friend, John Boom. The tragedy of John’s death is not part of the book itself and is only revealed, poignantly, in the Remembrance, but there is a real sense of loss that ripples through the characters and action. On one level the book is as described on the back cover as “a wild ride through a community turned upside-down.” On another level, it is the story of friends and lovers, and the turmoil created as they search for their place in a world full of potential but hindered by limited possibility. 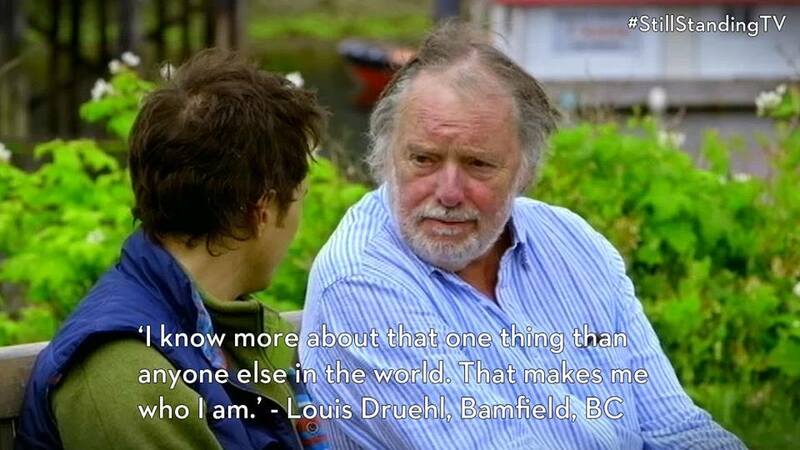 Louis Druehl is a marine biologist, university professor, lover of seaweed, innovator of kelp farming, and an editor and author. His multi-dimensional talent results in the madcap world of Gaz and his friends. However, the author’s real feelings and motivations lie discretely below the surface as he brings to life the characters with his special brand of tongue-in- cheek humour. 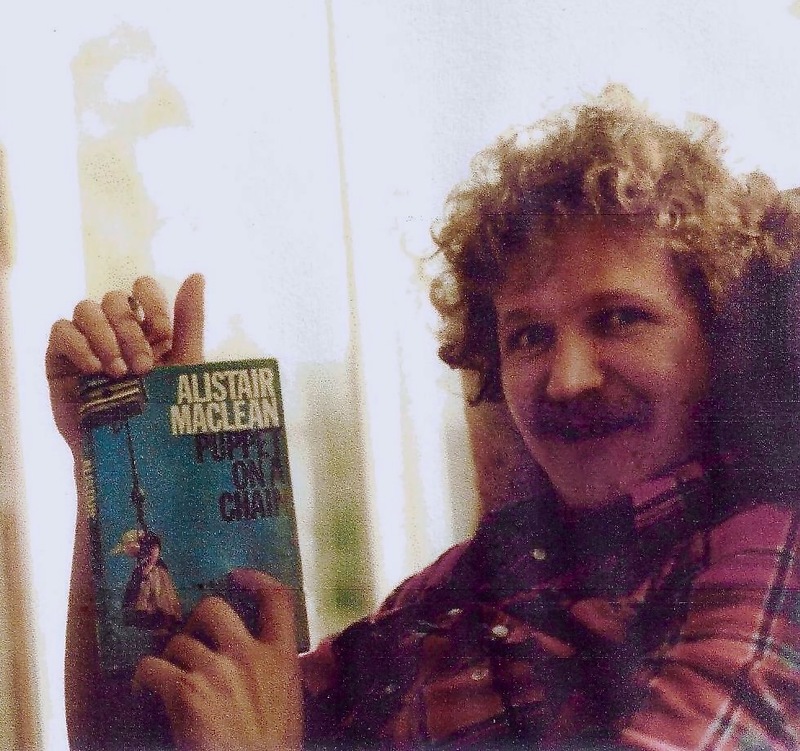 The novel takes place between August 1974 and October 1975. Sections of the book are introduced with quotes from John Steinbeck’s Cannery Row – also set in a West Coast marine station environment – one of my favorites being, “For there are men who can look, listen, tap, make an adjustment, and a machine works.” It appears Gaz has a talent for making machines work, while in his personal life he and his buddies get into all sorts of high jinx dealing with the isolation of a small ocean-based community. This book will appeal to those who know West Coast life, as well as a wider audience. Students of all ages looking for answers in a complex world will find something of interest here.